On the west coast of Italy, stretched along the glistening Ligurian Sea lie the Cinque Terre, or Five Lands. Dating back to the 11th century, these picturesque towns have, by virtue of their isolated locations, remained protected from the outside world. To this day they remain accessible only by train, boat, or a rugged winding path that weaves up though the mountains and dips down to meet the clear blue water between the villages. Though cars are vietate (forbidden) in these colorful towns, geocaches are welcome. 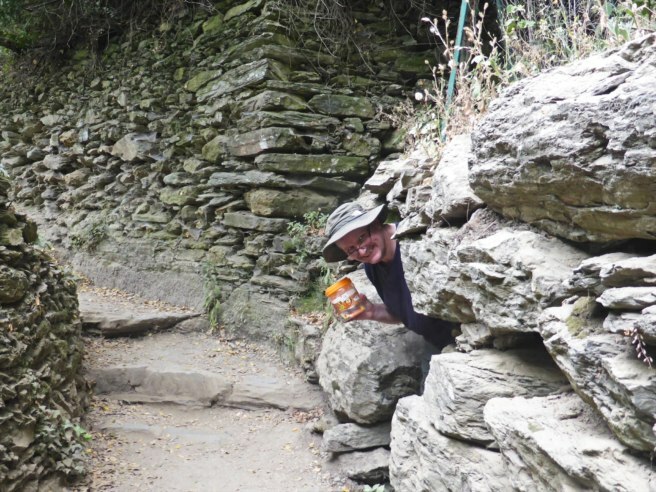 Among the twelve caches scattered along the winding trail connecting each town to the next is Cinque Terre – Monterosso-Vernazza, our Geocache of the Week. 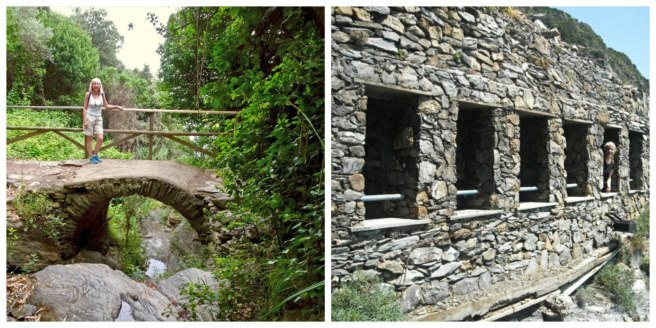 Placed in 2006, this cache is one of the oldest in Liguria, the Italian Riviera. Since the trail through the villages is a Parco Nazionale (National Park), there is a small fee to hike the trails during the busy summer months; however, cache owner CaniSciolti keeps the container in tip top condition for cachers to find year round. Although relatively straightforward, for this Traditional Cache it’s really the journey that counts. Each village has its own separate culture, traditions, and even dialect. So, while you could take the train to either Vernazza or Monterosso, the best way to earn this smiley is to brave the trail and embark on the scenic six hour hike to the cache. Your strumenti del mestiere (tools of the trade) might need to expand for this unique cache. 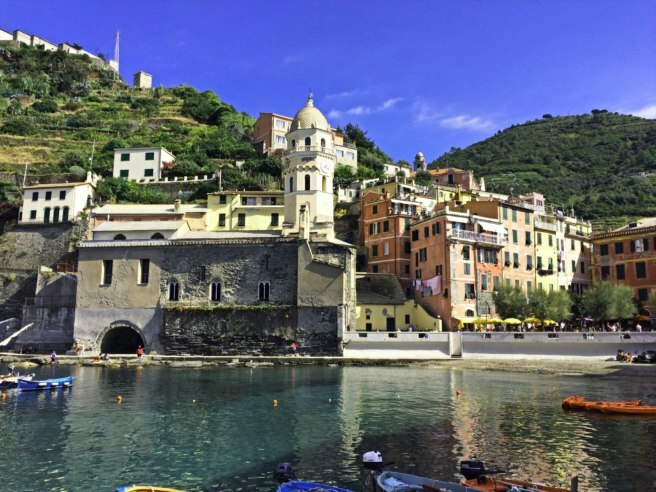 You’ll want to make sure you also pack a swimsuit for the crystalline waters in Vernazza. You’ll definitely need to save your appetite for the famous honey gelato in Corniglia or pizza in Monterosso. Finally, you’ll have to lace up your hiking boots to get you up the ancient stairs and down the winding trails. And of course, the most important of all —don’t forget to bring a pen to sign the logbook! Continue to explore some of the most amazing geocaches around the world. Check out all of the Geocaches of the Week on the Geocaching blog. If you would like to nominate a Geocache of the Week, fill out this form.